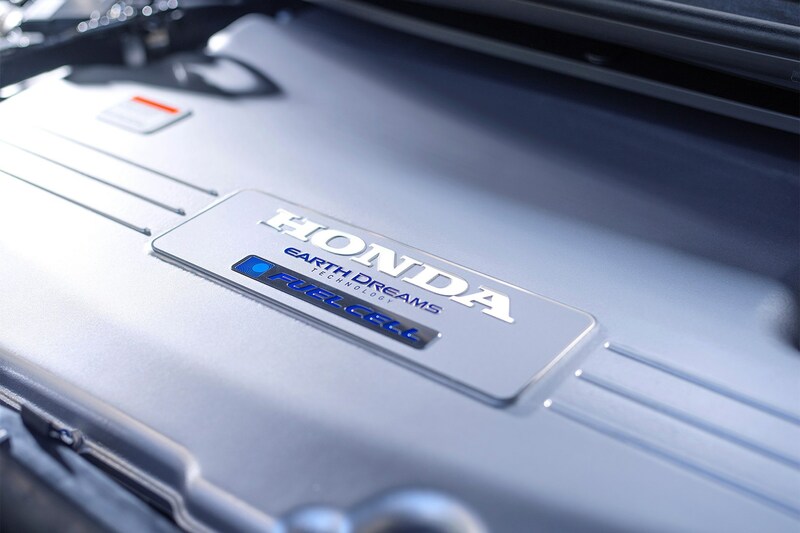 Honda has been working on hydrogen-fuelled cars since the 1980s, with low-volume production models being leased to and trialled by members of the public in small numbers since the mid-2000s. 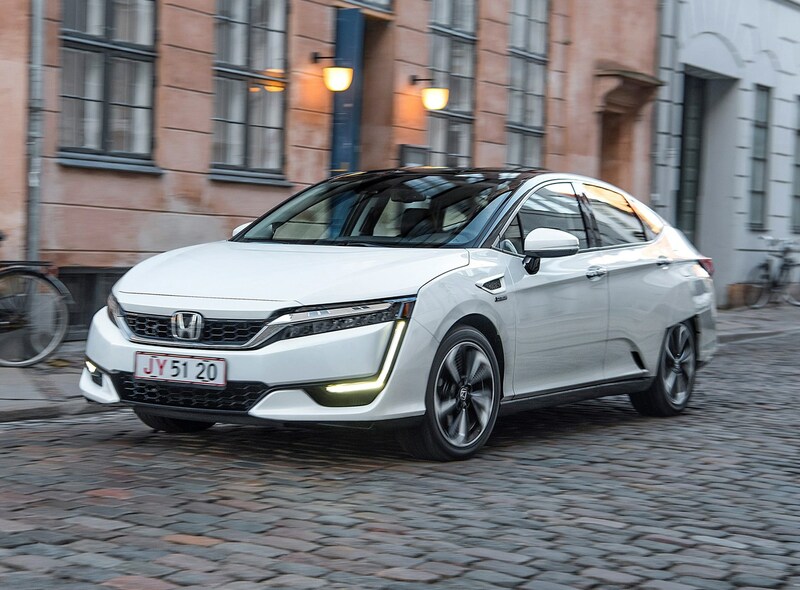 This is its latest, the Honda Clarity Fuel Cell, and it’s the Japanese firm’s most convincing hydrogen fuel cell car yet. 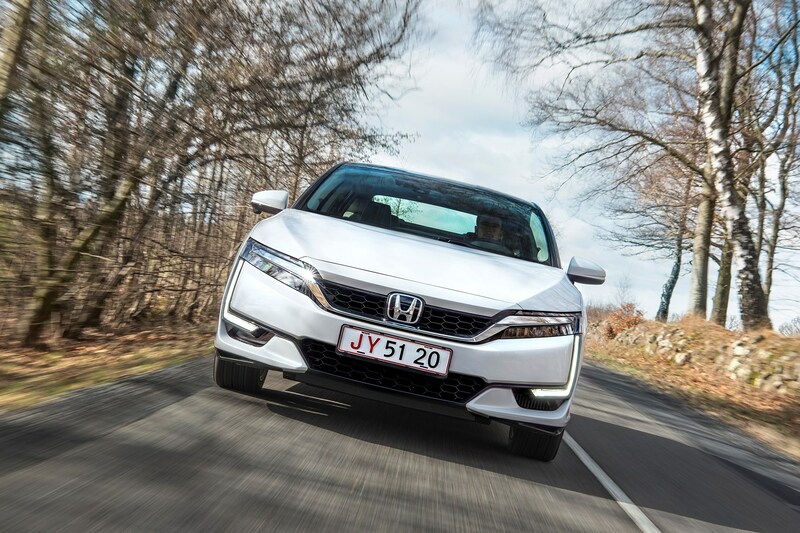 It’s not yet fully on sale in the UK; three cars are currently in the country, and will be loaned to Honda customers for several months at a time to rack up miles and accrue data to help Honda with future development. Three more cars will arrive in Britain in 2018, as part of the same programme. Members of the public can lease the Clarity in Japan and the USA, but can’t yet buy it outright. Conventional sales aren’t likely to start in the UK until the car’s next generation arrives, in 2022 or thereabouts. 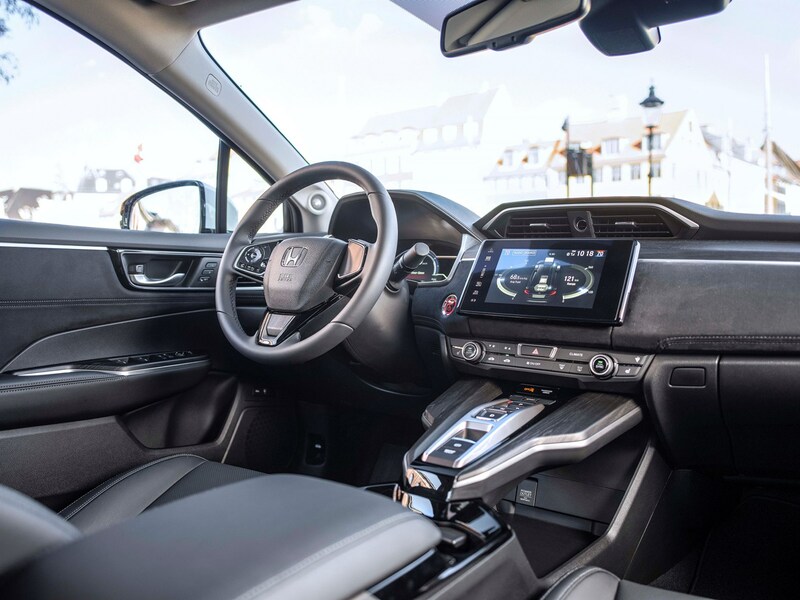 Honda won’t make a profit on the Clarity – it’s very expensive to build, and its costs are all part of the company’s wider research and development budget. 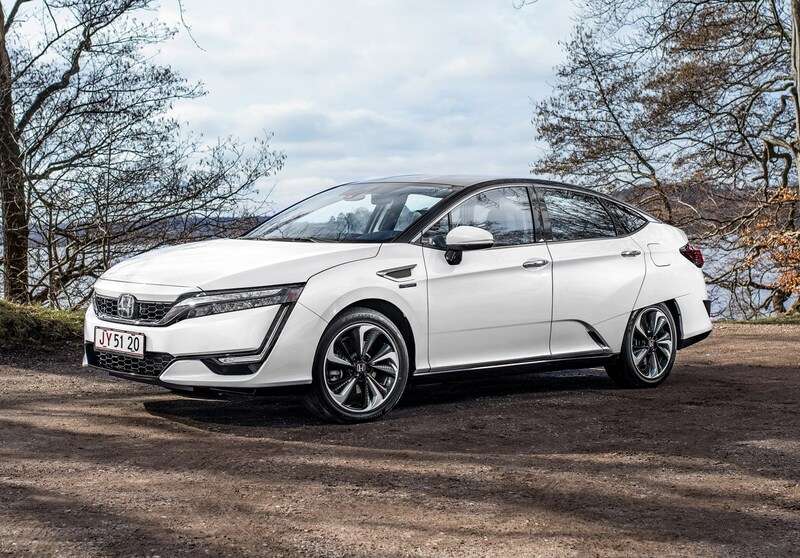 How does the Honda Clarity Fuel Cell work? 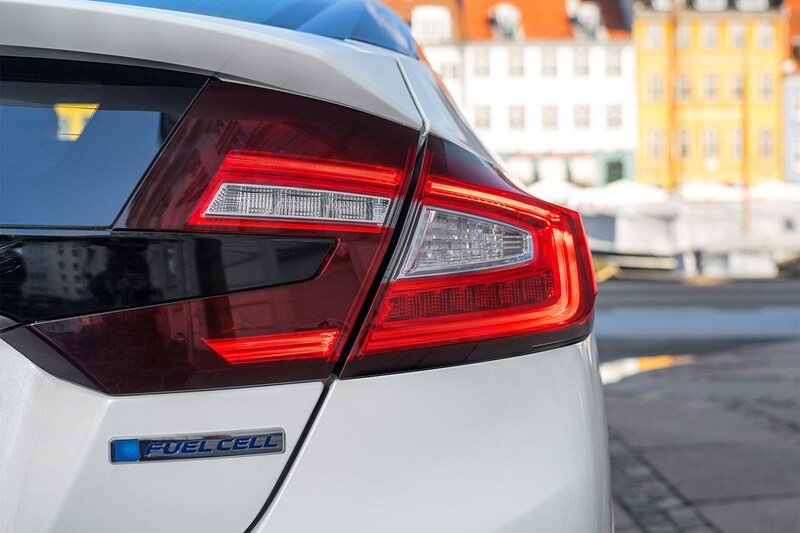 The Clarity Fuel Cell is an electric car, or to be more accurate, a hybrid. Two tanks, positioned under the boot and ahead of the rear seats, are filled with hydrogen from a pump – more on which shortly. The hydrogen is fed into a stack of fuel cells, which separate it into protons and electrons to create electricity for a motor which drives the front wheels. Water vapour is also created as a by-product. 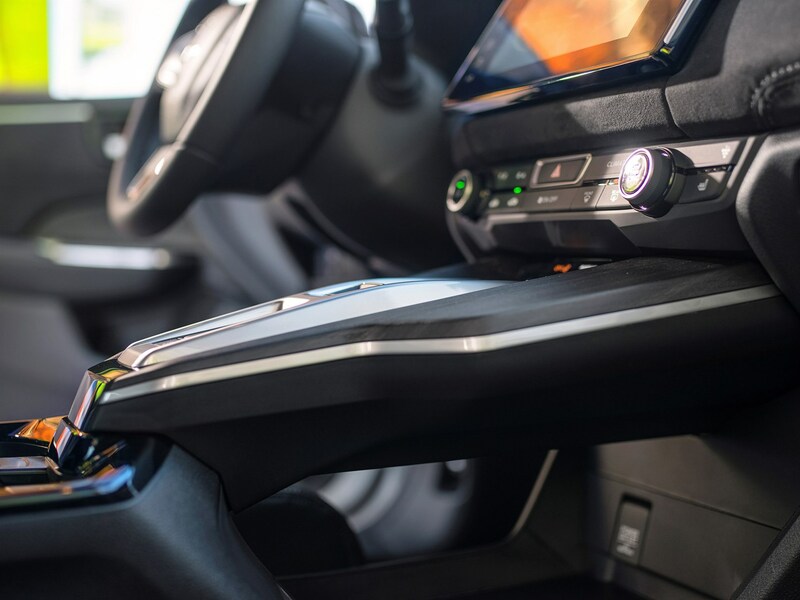 As well as the fuel cell, there’s also a battery under the floor between the front seats, which can contribute extra energy for the motor when the car is initially setting off, or when it needs extra juice for accelerating up a hill, for example. 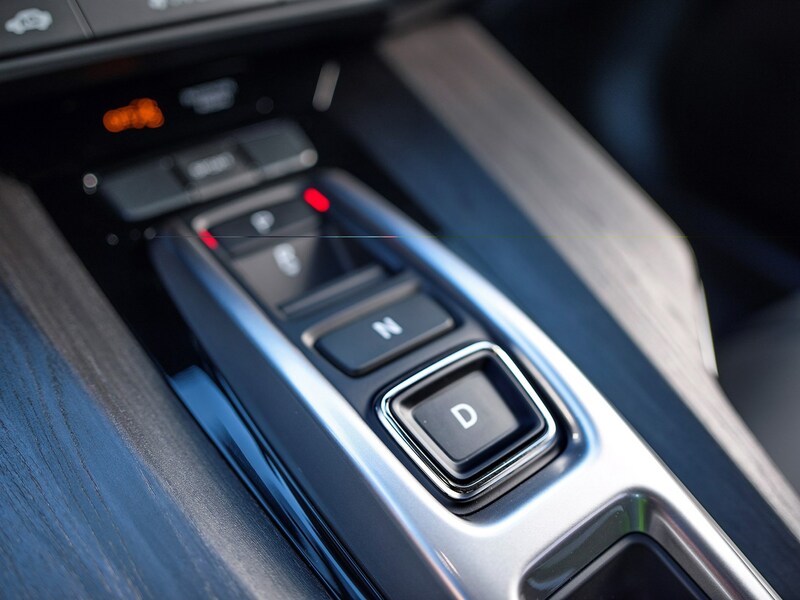 At a cruise, the fuel cell drives the motor by itself; under acceleration the battery helps. The battery is recharged by the fuel cell when the car is stationary, and also by regenerated energy under braking. 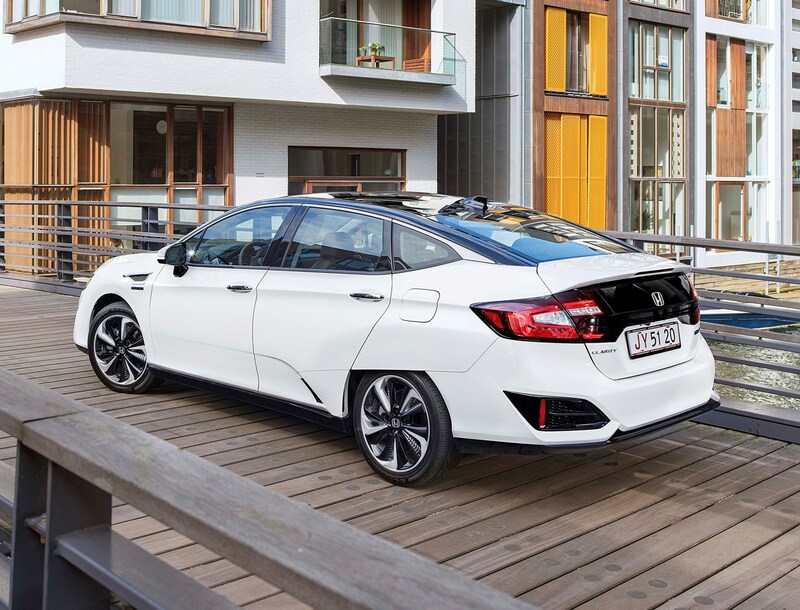 Big news with the Honda Clarity compared with previous Honda fuel cell cars, and other hydrogen fuel cell cars currently on the market such as the Toyota Mirai and Hyundai ix35 Fuel Cell, is that it fits the fuel cell stack under the bonnet, freeing up more space for passengers. 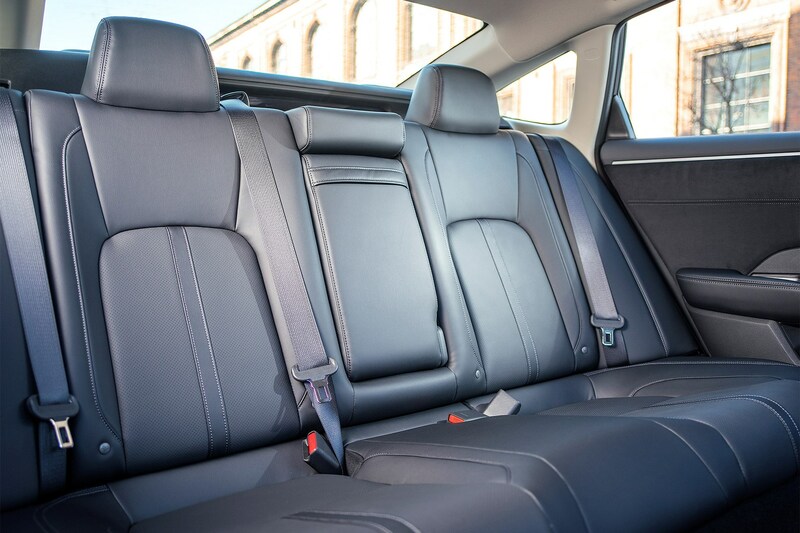 It has five seats to the Mirai’s four. That has been achieved by some clever packaging and the smallest possible fuel cell design, but also because it’s a very big saloon car with a very big bonnet – it’s nearly five metres long. That does mean there’s plenty of leg room inside though. Where can I fill up with hydrogen? And how far will the Clarity travel on a full tank? 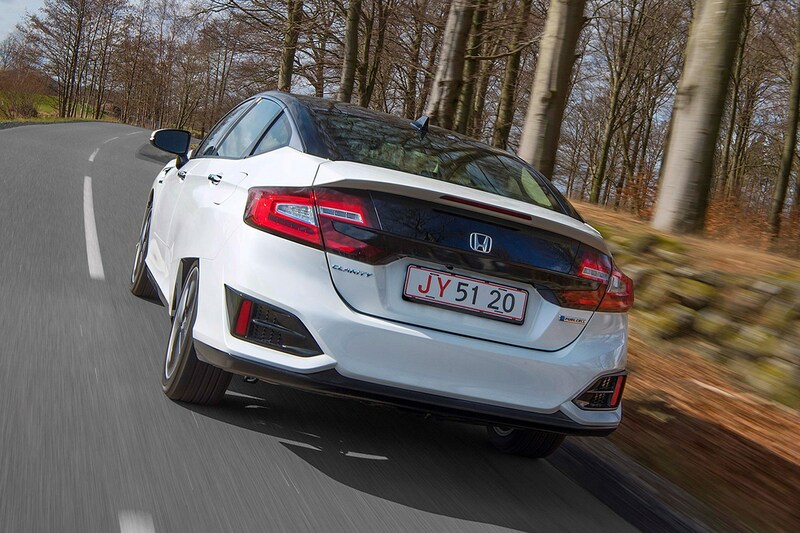 Honda quotes a driving range of 403 miles in optimum conditions. 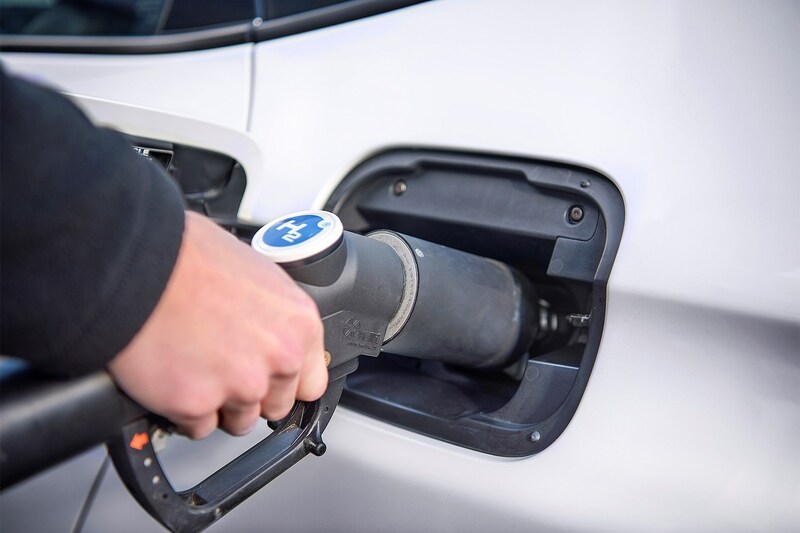 There are currently only around 15 publicly accessible hydrogen filling stations in the UK, although more are on the way. Most notably there’s a Shell station at Chobham services on the M25, and a similar station at Heathrow. 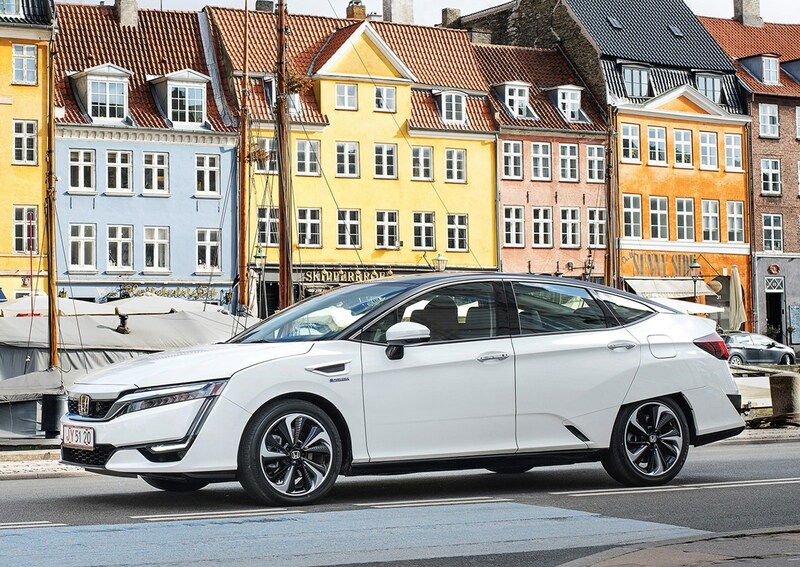 Lack of hydrogen refuelling infrastructure is the main hurdle to hydrogen cars’ progress in Europe, as well as the cost of creating the hydrogen in the first place. 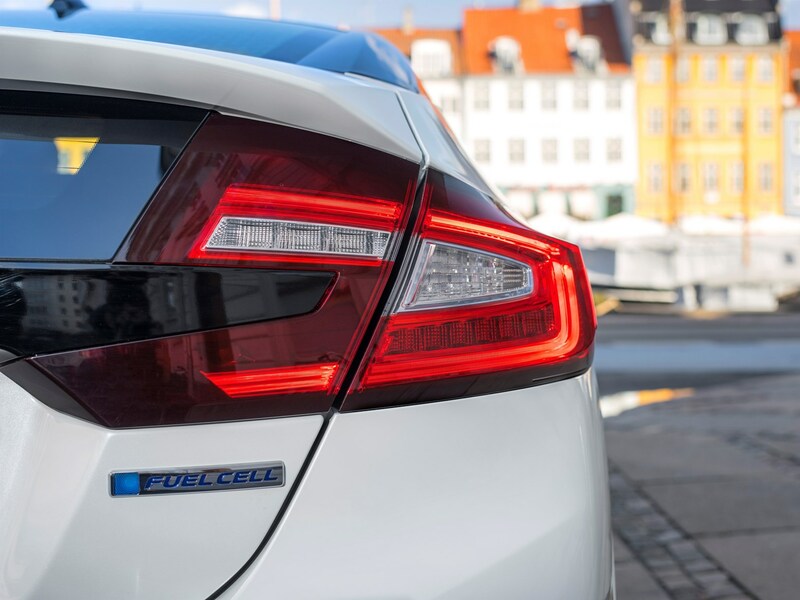 We tried filling up at a station in Copenhagen, where we tested the car. It was an entirely normal experience, no more or less tedious than filling up with petrol or diesel, and takes a similar amount of time. Although the hydrogen is stored at great pressure and is very cold – enough to make the nozzle of the pump frosty – you don’t need to wear gloves. 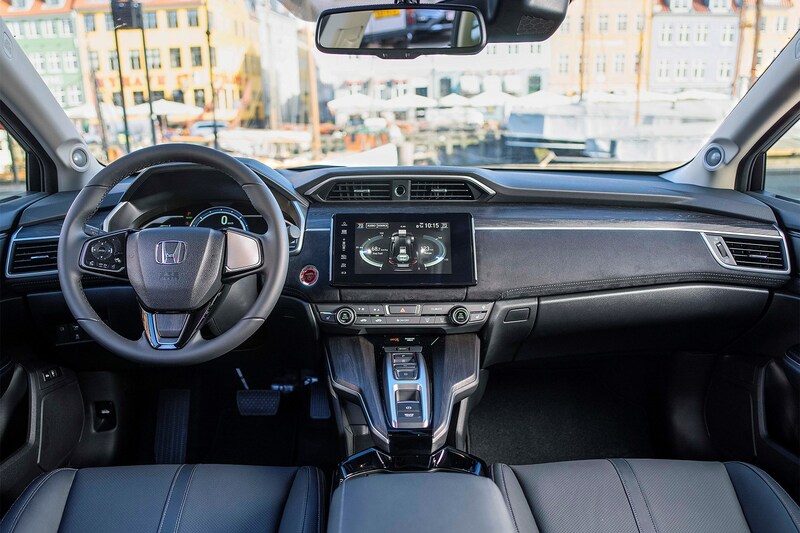 How does the Honda Clarity feel to drive? Just like any electric car really, albeit not a particularly fast one – performance is more leisurely than sprightly, but that’s fine. 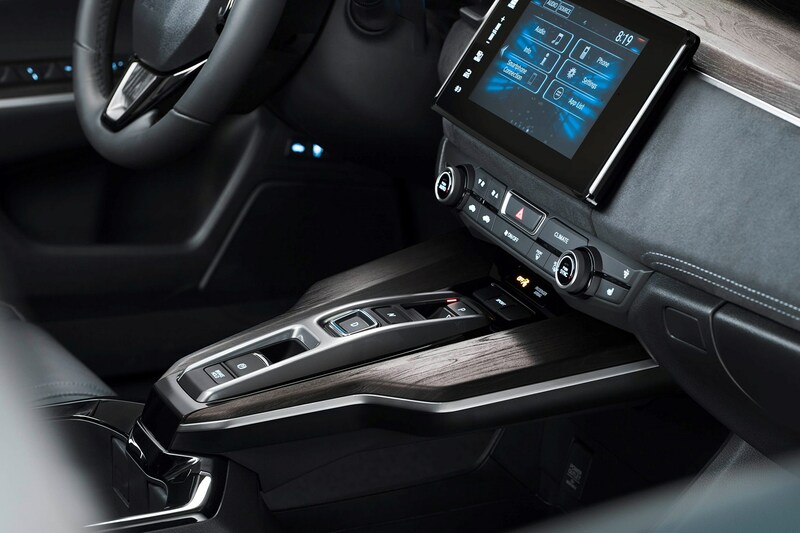 This is a very relaxing car to drive, with excellent sound-deadening for a near-silent driving experience, and only the faintest of whooshes and gurgles from the fuel cell and motor. With expensive aluminium suspension, it also has a very comfortable ride. You’re very much aware that it’s a large car when you’re manoeuvring in tight city streets, but you quickly get used to it and a blindspot camera on the underside of the door mirror helps. 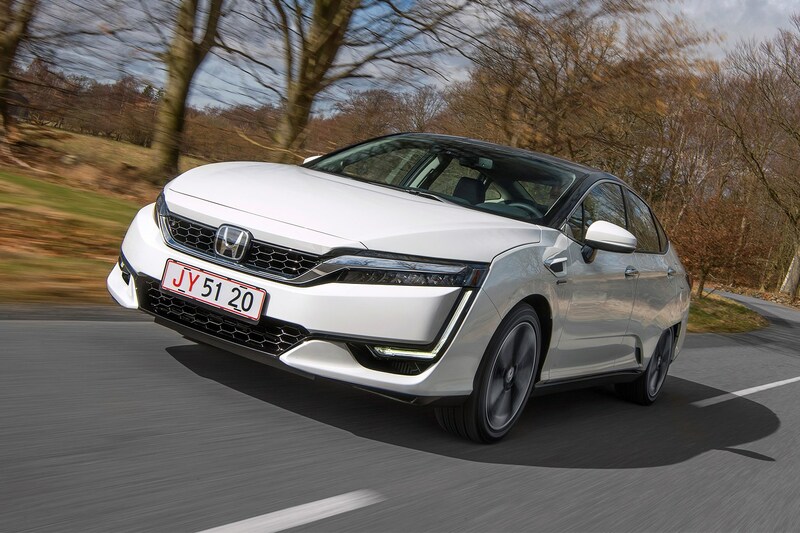 There are still many problems to overcome before hydrogen-fuelled cars become widespread, but the Honda Clarity Fuel Cell is a very convincing car. It’s easy and relaxing to drive, refuelling it is simplicity itself (assuming you live within a reasonable radius of somewhere you can do so) and the depth and quality of its engineering is impressive. The next challenge will be for manufacturers to find a way to manufacture these cars at a reduced cost so that they won’t be unrealistically expensive for consumers – but to do so, they need to apply economies of scale, for which there needs to be a widespread refuelling infrastructure. Chicken, egg, etc, but this car is a very convincing step closer to viable hydrogen-fuelled automotive mass transport in the near future.